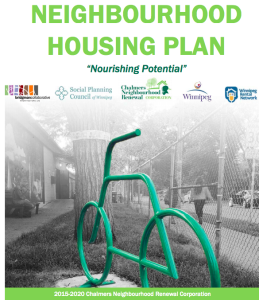 Draft of the Chalmers Housing Plan – Available Here! Take time to review the next to final draft of the Chalmers Housing Plan on our website! Your upcoming opportunity to provide feedback on any aspect of the plan will take place at the CNRC annual general meeting which is scheduled for Wednesday September 23rd, 5:30 -7:30 pm at 180 Poplar. Please RSVP you plan to attend! Click on the link below to download the PDF!